Playing catch up with Facebook’s Like button, Google has launched +1, a platform that allows users to say that they like certain ads and search results. Obviously, this isn’t something new, at least in Malaysia. Last year, 1Malaysia was launched a year ahead of schedule and it has now expanded to include 1Radio, 1Tv, 1Clinic, 1Email, etc (let us to come clean, everything except – 1.my). And just when we thought that the “1” fever was losing steam, “Cloud” becomes one of the most hyped terms today. Of course, the Cloud we’re talking about here isn’t the “visible mass of water droplets or frozen ice crystals suspended in the atmosphere above the surface of the Earth or another planetary body.” We’re talking Cloud computing. You could say that Cloud reached a climax when iCloud was finally revealed at Apple’s recent Worldwide Developers Conference 2011. Then, all of a sudden, books, music, files and photos are all on Cloud. Fortunately, Malaysia isn’t far behind when it comes to technology. 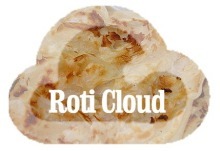 After all, we have the tallest building in the Clouds and we can even have roti canai above the Clouds. Steve Jobs says don’t even need to know what Cloud is, because you never interact with it – your apps do. End users shouldn’t worry, however, because the moment you upload a picture on Facebook, navigate KL using Google Maps or play Angry Bird on Google Chrome, you are in fact, in a transition to Cloud. To you, it is a matter of experience which makes sharing faster. It also makes life easier and fun! So don’t crack your head trying to understand Cloud, it exists in the background. Think of it this way, you don’t need to know how a car works in order to drive a car, and remember Web 2.0? Who gives a hoot about it now? It’s wise for businesses to make the change, however. You can be a mover and shaker by helping your customers make the transition to Cloud. Ask yourself these questions – Is your website hosted on Cloud? Does your product require an additional hardware to run? Think again and check out Cloud Computing, as well as this article. Pin is the founder of 1.com.my. He hosts email and websites for his customers on Cloud. He has written two books on Online Business and Linux, and he also founded a Web Developer Group that has over 100 friends. To learn more, please visit his website, or join his Facebook page. Turn off built-in junk filter, why?